Over the years many folks have lent a helping hand to our little family: giving rides to the kids, groceries and a bed when I was in college, moral support. None of these folks expected anything in return for their kindness, so when I get a chance I pay it forward. I got an opportunity earlier this week. A young mom who has been having mobility problems has a beautiful flower bed that her school aged kids created for her on Mother’s day. Someone has kept it watered throughout the drought in the midwest this summer and the flowers continue to bloom. They had started to get overrun with grasses though, obscuring their beauty. So I did a guerilla weed. I drove the hour or so to their house, spent about an hour weeding the grass out of the flowers and drove home. It was the most fun I have had all week. 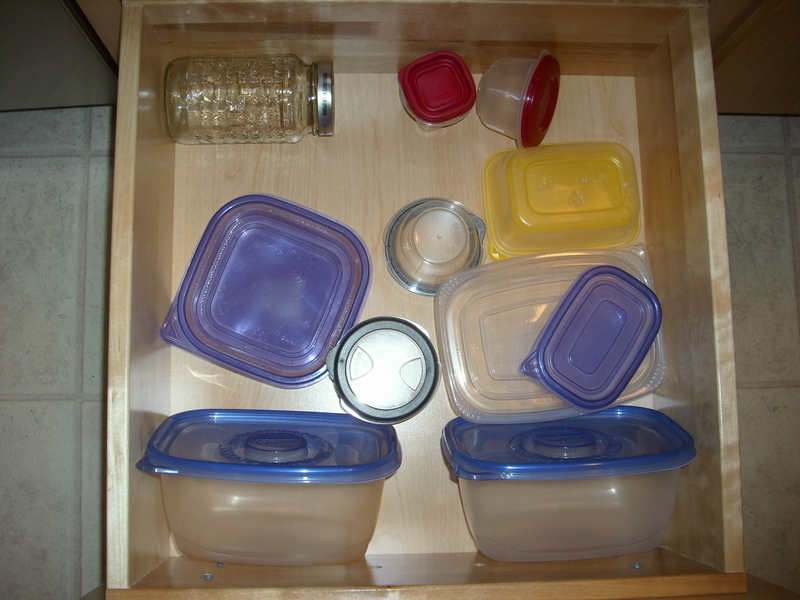 Here continues my counting of the stuff that I share with the kids. These are miscellaneous items from around the house. I’m working my way to the kitchen which has the most objects in it. In the basement, 4 items: washer, dryer, vacuum and box of tools. 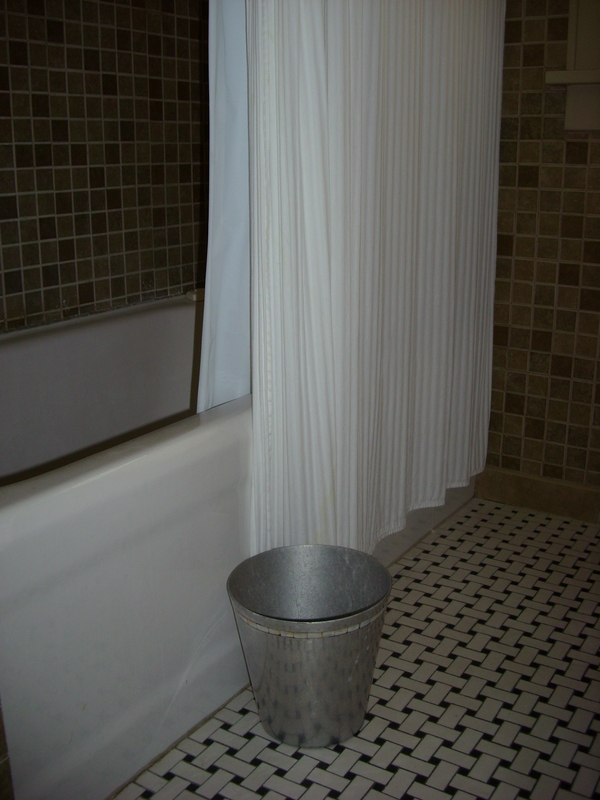 In the bathroom, 2 items: shower curtain and trash can. 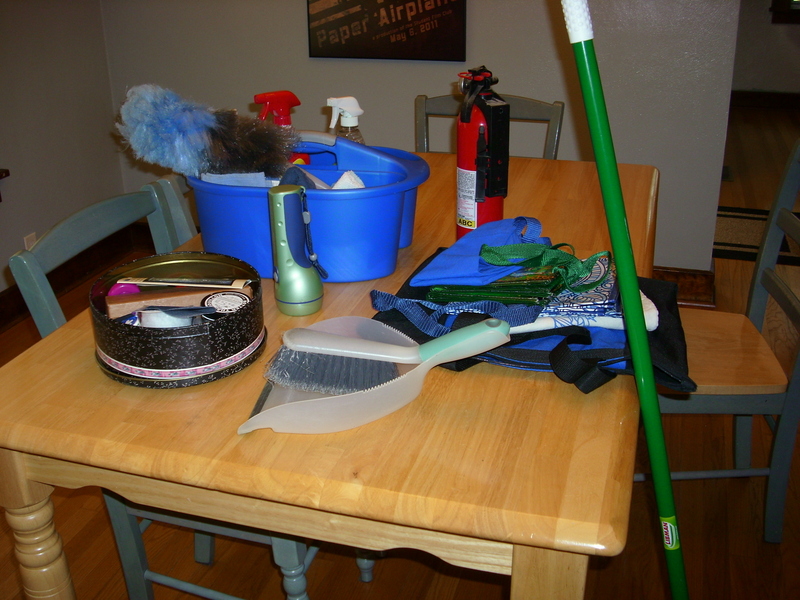 And then from other places in the house and gathered for the photo: broom and dustpan, cloth bags for groceries (#5), tin of sewing supplies, flashlight, bin of cleaning supplies, fire extinguisher. Also, counted, but not photographed: the house and a rug by the back door. 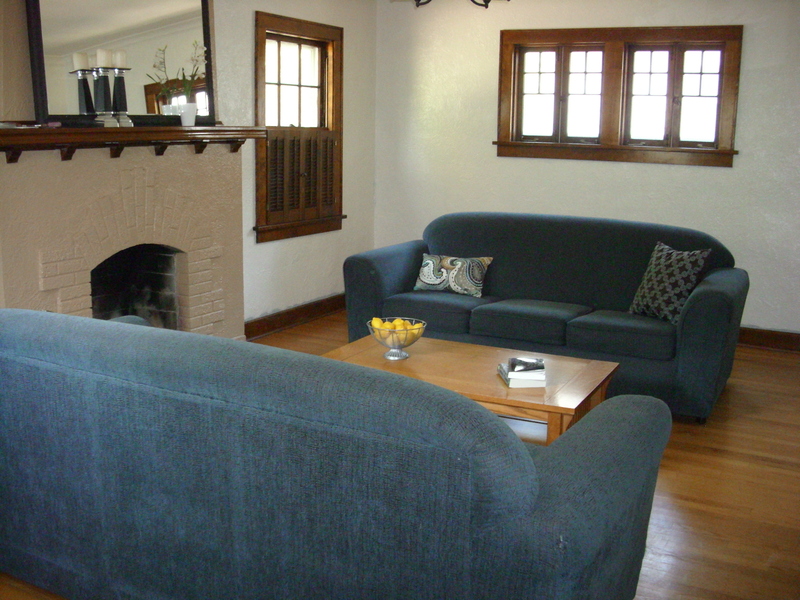 There are two couches with three pillows, a table with a bowl. The bowl holds seasonal items-lemons in summer, pine cones or squash in fall, red and green and silver glass balls for Christmas decoration. In the photo are a couple books, these are my daughter’s but library books usually hang out here as well. 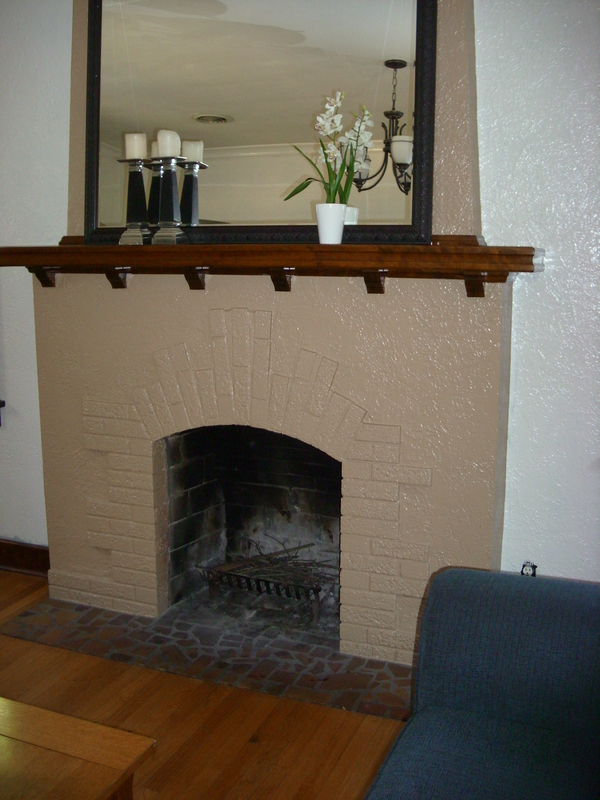 The focal point of the room is the fireplace. There are two candlesticks with candles and a silk flower arrangement on the mantle. The fireplace tools are in the basement for the summer. 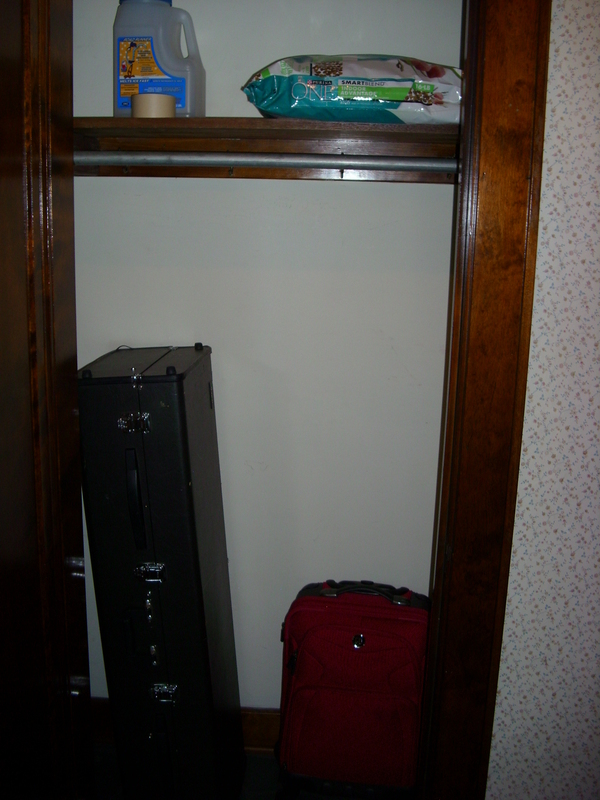 Here is a view of the entry closet. The photo is a little dark, but you can see below: a red suitcase and a bari saxophone in its case (I don’t count this as it is on loan from the school.) On the shelf: ice melt, tape for getting cat hair off the couch and cat food (which is stored in this closet because the cats do not have opposable thumbs.) I do not count consumables so the only thing in the closet in the count is the suitcase. Count for the living room is 13. This space is also used daily. There is usually one or more persons sprawled on the couches reading or playing an electronic device. On Sunday afternoons the couches are pushed against the wall opposite the fireplace and the local teen improve troupe practices in the space. When family comes to visit, I give them my room and sleep on one of the couches. 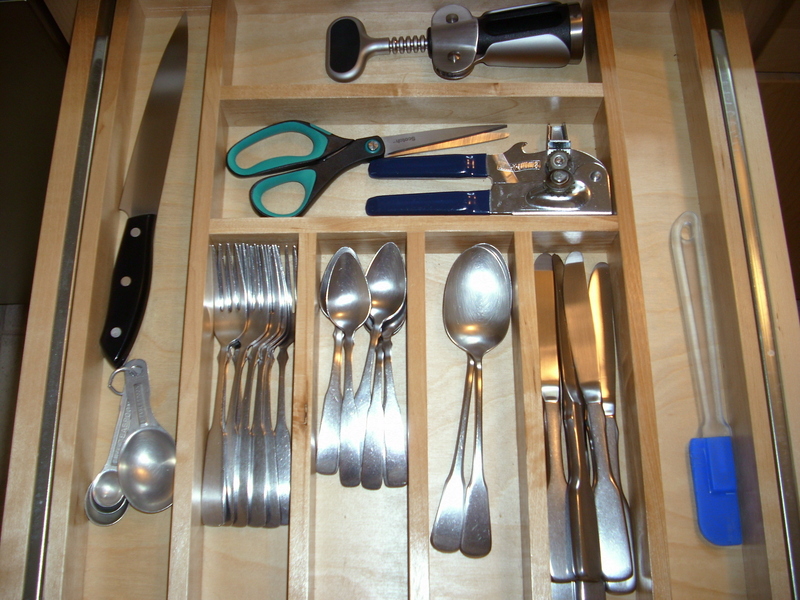 Again, less clutter leads to increased versatility. And while it’s been a few years since they were used for that purpose, the couch cushions make excellent forts.